The very first dessert I mastered as a child was the apple crisp. It was in our church community cookbook, the kind churches and PTAs and family reunions created together in the 90’s. I made the apple crisp so much that I had it memorized. It was my first solo recipe, one I could create from start to finish with no adult help, and it made me fall in love with baking. So it is little wonder that I have a soft spot for apple desserts. When fall rolls around, and I begrudgingly wave goodbye to summer, it isn’t a Pumpkin Spice Latte that wins me over, it’s a Caramel Apple Cider. I prefer apple-scented candles to their pumpkin counterparts. 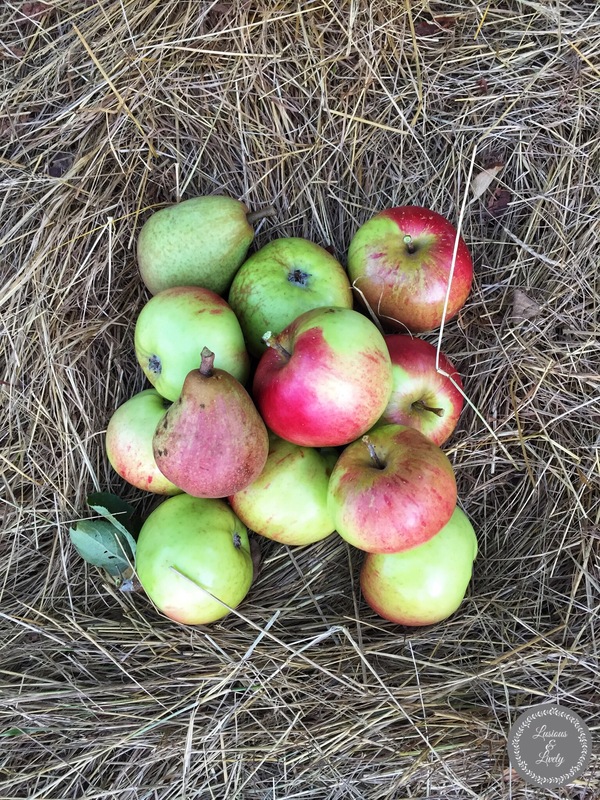 So what kind of blogger would I be if I didn’t go apple picking? Skip the perfect Instagram photos of me with an adorable basket and a plaid shirt. 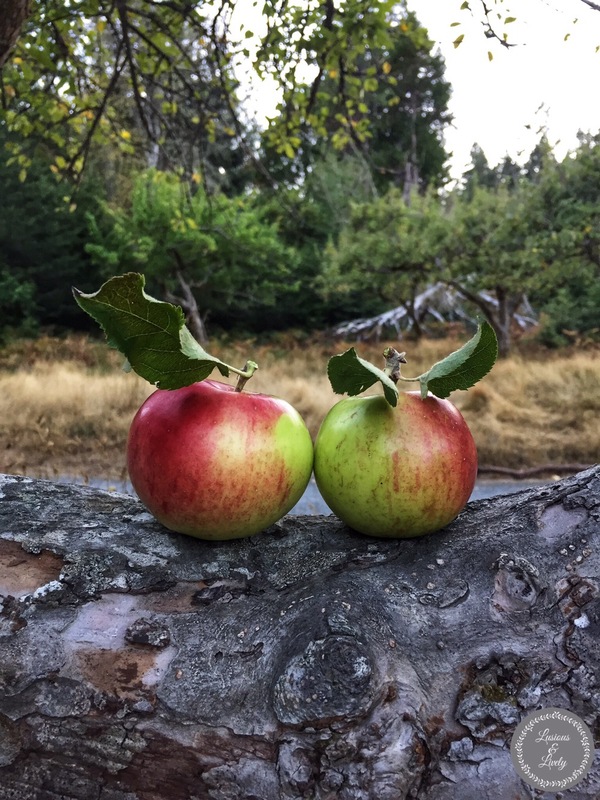 I was at a local beach that has apple trees from an old farmstead, and we decided to pick some apples! 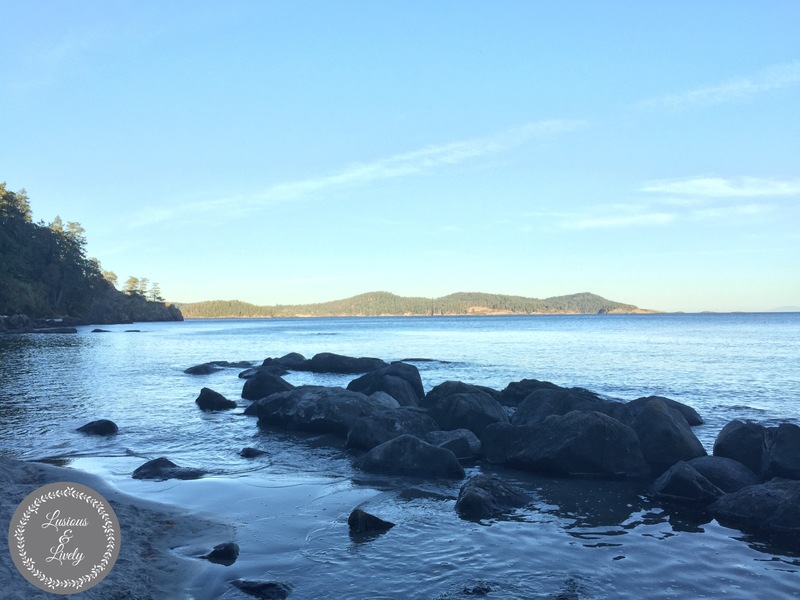 On a side note – can you imagine owning a farm with this as your beach view??? Since our apple picking was unplanned, we used a pole we had in the truck to knock down apples that were out of reach. Next year I will have a ladder and a plaid shirt! We ended up with a decent little collection of apples, and one pear left from a nearby tree.They were so gorgeous and crisp and juicy! The perfect apples for baking. Also they were super photogenic. 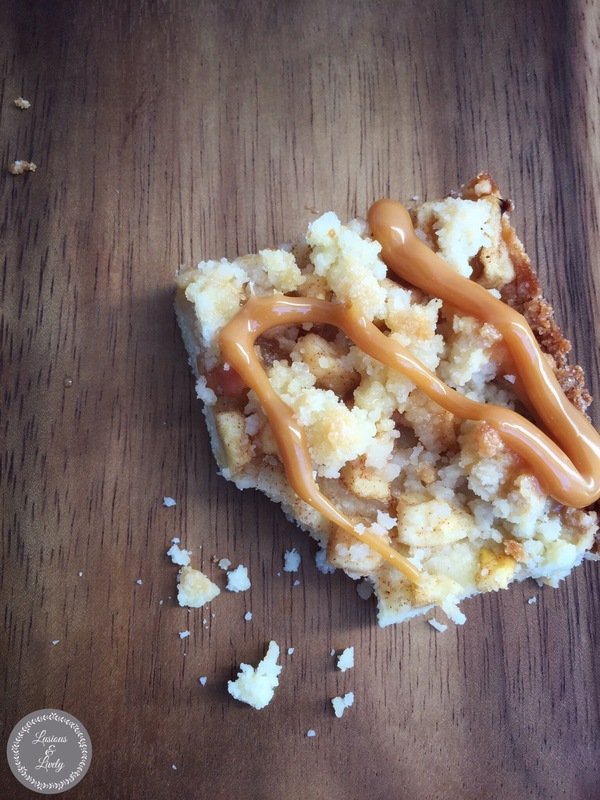 Apples and caramel are BFFs, and this recipe is so easy. It has honestly become my go-to for dessert, because it comes together so quickly and tastes like apple crumble and apple pie all in one. Enjoy this little taste of fall! 1. Preheat oven to 375 F. Line a 9 x 13 inch baking pan with parchment paper. 2. Mix flour, sugar, salt. Cut in butter until mixture has pea sized clumps. Add eggs and blend well. 3. Take 3/4 of the crust mixture and press into the pan. Keep remainder as topping. 4. Peel and dice apples. Mix diced apples with all other filling ingredients. Blend well. Strain excess liquid. Spoon filling on top of crust in the pan evenly. 4. Top with clumps of remaining crust mixture. 5. Bake at 375 F for 30-35 minutes, or until lightly browned. Let cool completely. 6. 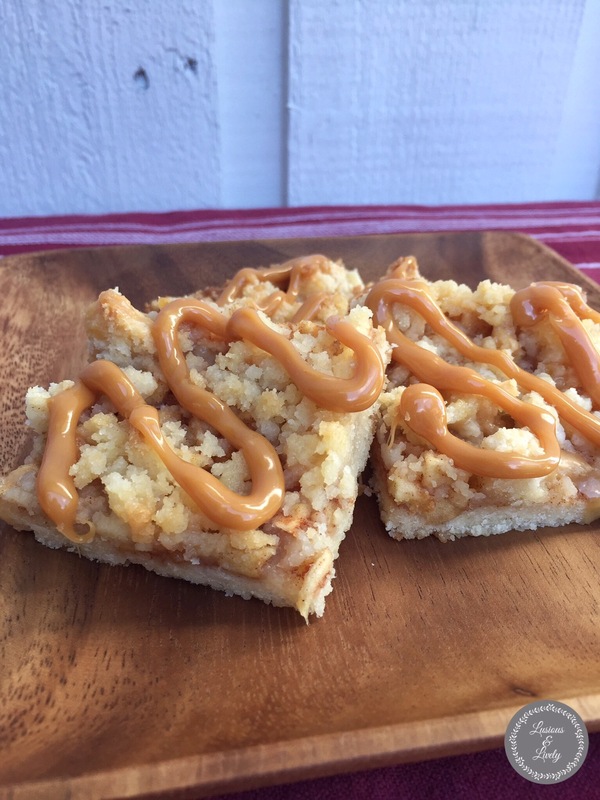 Once bars have cooled, melt caramel squares in a double boiler or in the microwave. (If microwaving, do so on low heat in 15 second intervals, stirring in between, to ensure caramel doesn’t scortch). 7. Pour melted caramel into a piping bag. 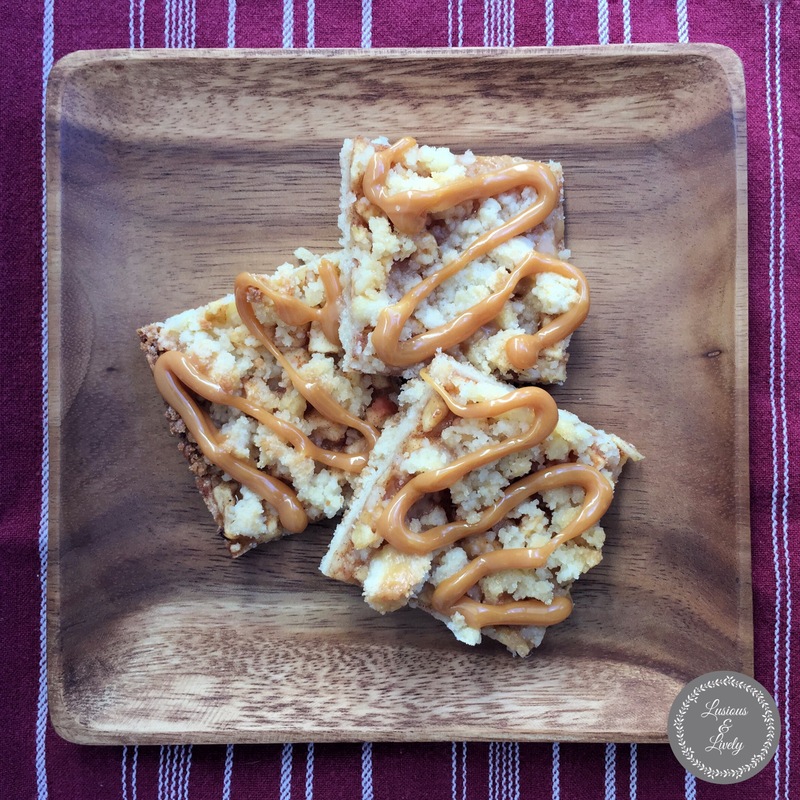 Wearing an oven mitt, use bag to drizzle caramel over squares. Allow caramel to cool and set before eating. Next Post A Patriotic Ironing Board – Oh Canada!